Just ahead of its release through 20 Buck Spin, the ruthless Living Tomb LP by Portland, Oregon-based death dealers OSSUARIUM has been posted for public absorption through an exclusive early stream hosted by Invisible Oranges, alongside an interview with the band. To start the 2019 campaign off with crushing precedent, 20 Buck Spin introduces OSSUARIUM and the band’s harrowing Living Tomb as the label’s first release of the year. Following on the heels of the widely hailed and brutal Calcified Trophies Of Violence demo in 2017, OSSUARIUM‘s first full-length record reveals immediate maturation to ruinous and overwhelming effect.Living Tomb‘s devastating tones were captured by Greg Wilkinson at Earhammer Studios (Vastum, Undergang, Ulthar) and the album completed with cover art by the legendary Dan Seagrave (Morbid Angel, Dismember, Suffocation). 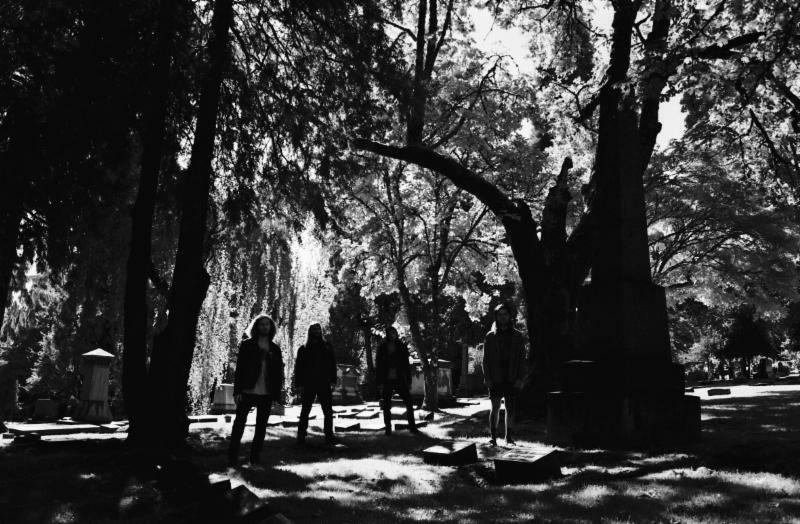 .” Stream Living Tomb and check out the OSSUARIUM feature at Invisible Oranges RIGHT HERE. 20 Buck Spin will issue Living Tomb on LP, CD, cassette, and digital platforms this Friday, February 1st. Preorders for all physical versions can be placed HERE and the digital at Bandcamp HERE and through all digital retailers. A formidable death/doom monstrosity where devastating sonic bludgeoning gives way to writhing hallucinations of disemboweling transcendence, OSSUARIUM conveys the calamitous aura of still burdened souls agonizingly leaving the mortal coil to the region of final darkness and perpetual rot. Time melts away, colorless dreams turn to endless nightmares and the pillars of eternity tremble at the dreadful permanence of the Living Tomb. In crafting its debut album OSSUARIUM creates a funereal rite of irrevocable passage to the other side. It does so with the grandiose power and putrid elegance of the best in the genre. The Living Tomb has opened to wrathful consequence and will never again rest in peace. Fans of Disembowelment, Anhedonist, Vastum, Runemagick, Convulse, Cianide, Spectral Voice, Funebrarum, Innumerable Forms, Mournful Congregation, and Lycus are advised to tune in.